Newspapers, billboards, and phone book listings used to be the main advertising strategy that your optometric practice employed to reach out to your community. Now, you can use digital advertisements like Facebook ads to advertise your optometric practice to individuals in your community more efficiently. With over 2 billion monthly active Facebook users, there is a good possibility that most of your community is on Facebook. 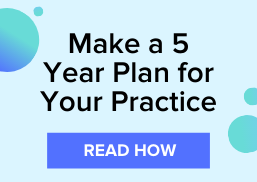 Shouldn’t you leverage this platform to advertise your optometric practice to attract more of your neighbors to visit your practice? Below are four tips on how to create ads that get clicked and generate foot traffic to your practice. Depending on the placement and type of ad you’re running, you may be restricted to sizes and characters. Knowing your limits before you start the writing the copy will help you identify how you can work with the restrictions to create the perfect ad. Here are the ad specifications according to Buffer. Whether you want your ad to drive people to visit your practice, or you want them to check out your new website, identifying a clear goal of why you’re creating the ad will help you identify your target audience and create a call-to-action. 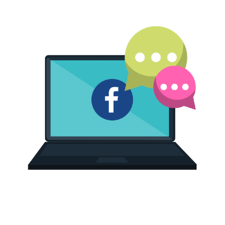 Using Facebook ads can be effective for local marketing because you can use specific parameters to target your ads directly to the audience they are intended for. Focusing the ad on one type of patient will help you concentrate more on solving their specific need. If you think your offer is valuable to multiple audiences, consider creating multiple ads to target each persona. Checkout this infographic for tips on how you can target your audience with specific filters. When it comes down to writing your headlines and descriptions, it’s vital that you lead with value. Addressing the question, “what’s in it for them?” will help you stick to what’s essential and gain the reader’s attention. Subscribe to the VisionWeb blog for more tips on how you can market your optometric practice!